Just about everything Martin Winterkorn touches turns to gold these days. As head of Volkswagen Group, he has gone on record saying that the car company will be the world's biggest by 2018. His vision looks more real than ever. Fueled by its strong presence in China, Europe and Brazil, VW Group last year sold a record 7.14 million vehicles, up 14 percent from 2009. Since coming to Wolfsburg in 2007, Winterkorn has added the same level of discipline and foresight that he introduced at Audi to set the brand on course for a rebirth. Winterkorn has focused VW Group's 400,000 worldwide employees – working for nine brands from ultraluxury marques Bentley and Bugatti to volume brands VW, Seat and Skoda, as well as the Scania truck unit – on a goal of becoming the industry leader in sales, profitability and customer satisfaction. He has brought in top talent from rivals such as former General Motors global sales boss Jonathan Browning, former Fiat Group Chief Marketing Officer Luca de Meo, and ex-Opel Managing Director Hans Demant. And he has kept the company's war chest bulging with cash. VW Group's net profit tripled in the second quarter of this year to 4.67 billion euros as surging demand for its vehicles kept the company on track for another year of record unit sales in 2011. Revenue is on a steep climb; so is operating profit. Audi CEO Rupert Stadler told German magazine WirtschaftsWoche recently: "With Martin Winterkorn we have the best and most successful car manager I know as the head of VW." 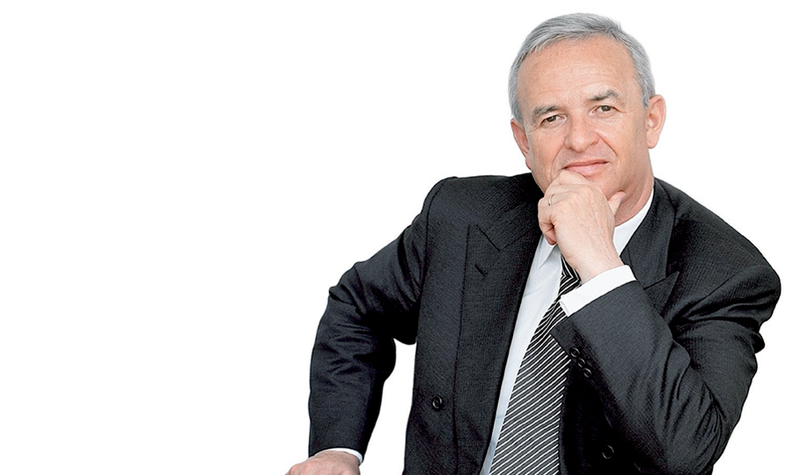 Winterkorn has a doctorate in metal research from Germany's Max Planck Institute and started his automotive career at supplier Robert Bosch in 1977. He joined the VW Group in 1981 as part of Audi's quality team and was Audi CEO from 2002 to 2006.